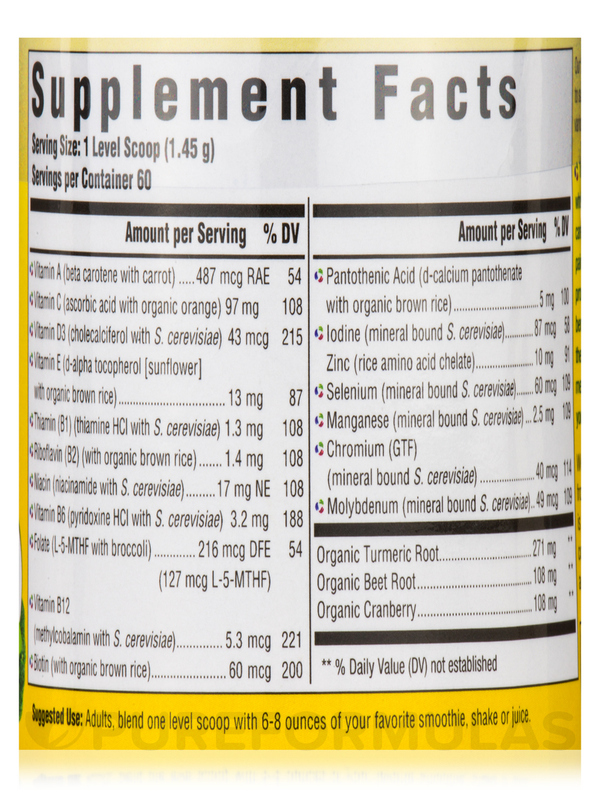 All the multivitamin nutrition you need from in an easy-to-take powder form! 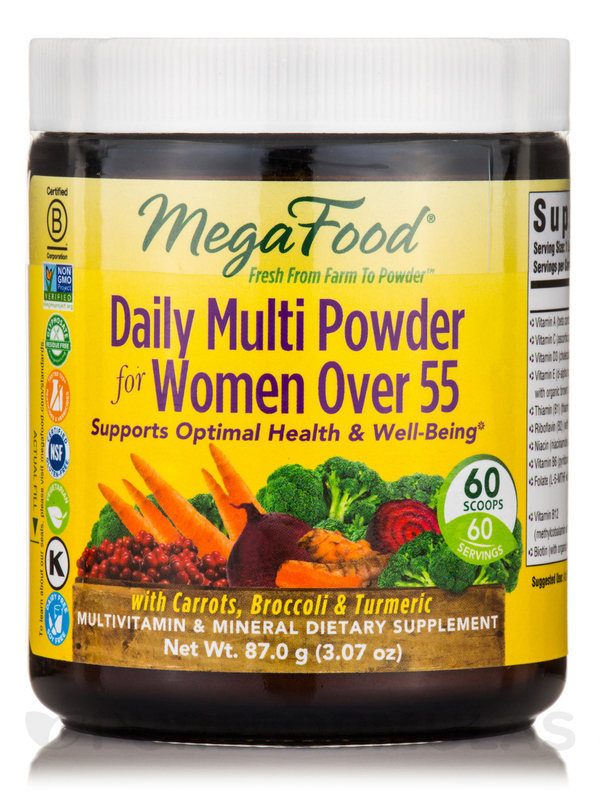 And—it was formulated with women 55 and older in mind. 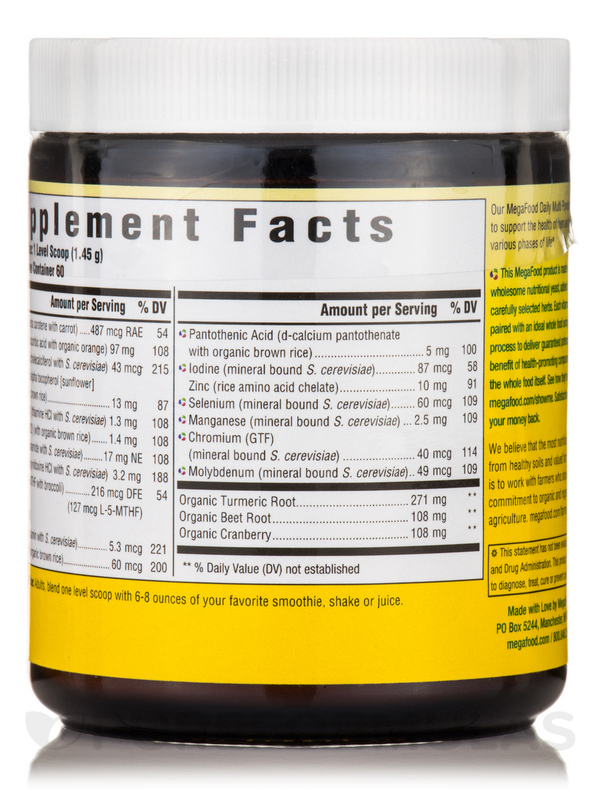 That means no iron (not recommended at this life stage)‚ and lots of potent FoodState® B vitamins to protect your nervous system and healthy energy production. 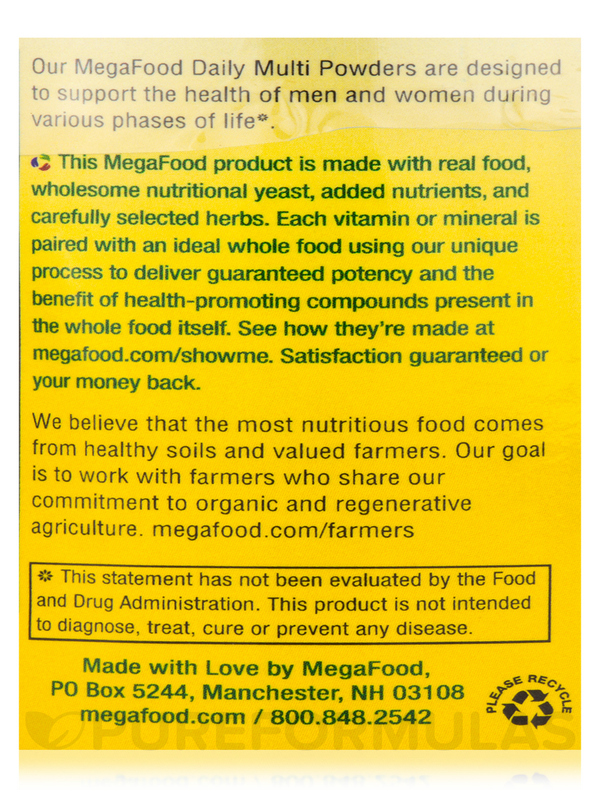 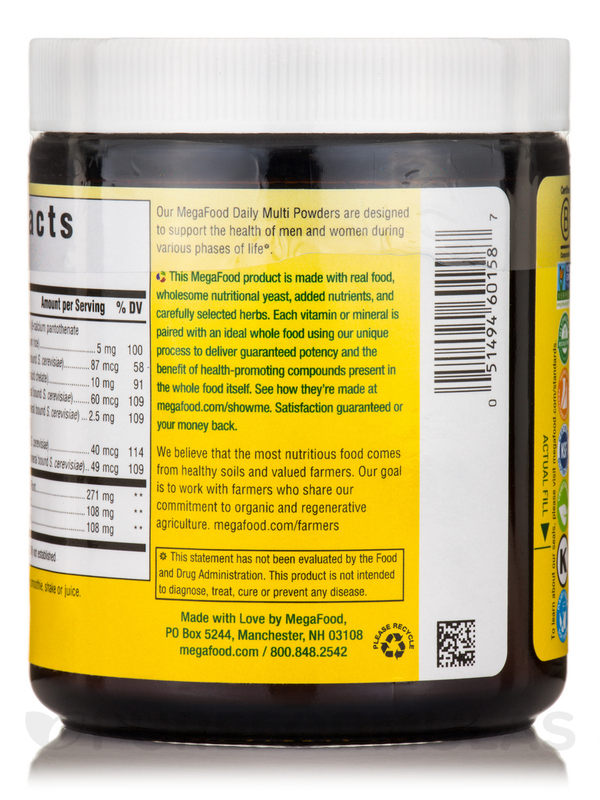 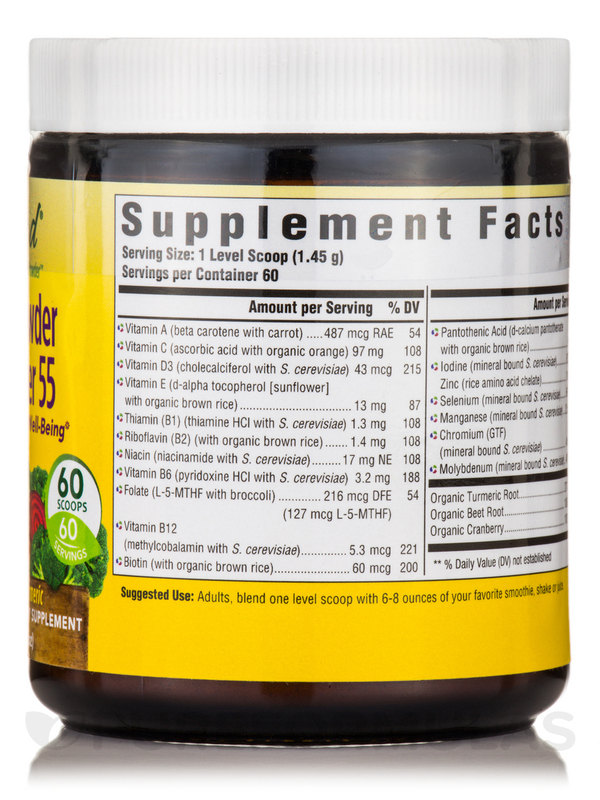 There are 43 mcg of vitamin D to support your already healthy bones‚ and MegaFood also added organic turmeric root for added nourishment. 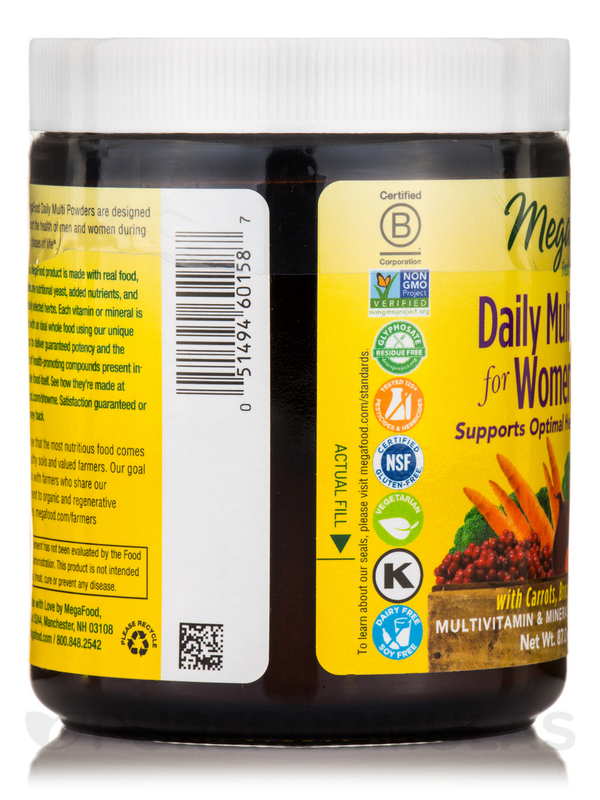 It’s a daily dose of optimal health and well-being for a powerful‚ busy woman‚ like you.